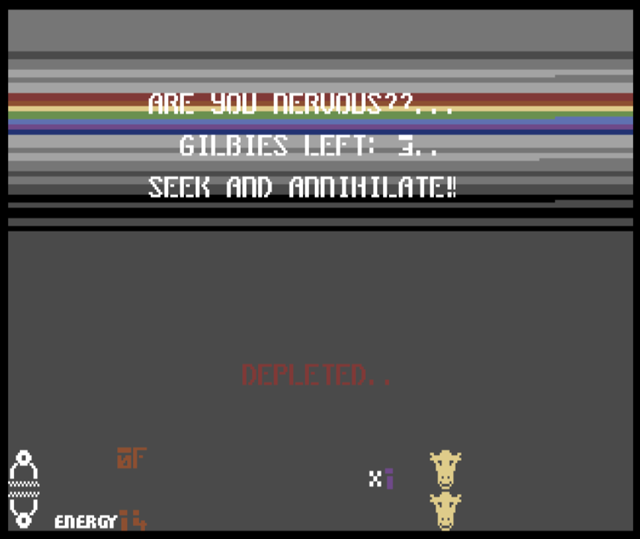 Iridis Alpha was the creation of Jeff Minter (Llamasoft) and published by Hewson in 1986. Most cracked versions up until now have contained a bug which would crash the game on stage 4 under certain conditions. Hokuto Force have fixed the bug for this release and also fixed the game for NTSC machines, as well as some very handy training modes, a high score saver and of course fantastic documentation. 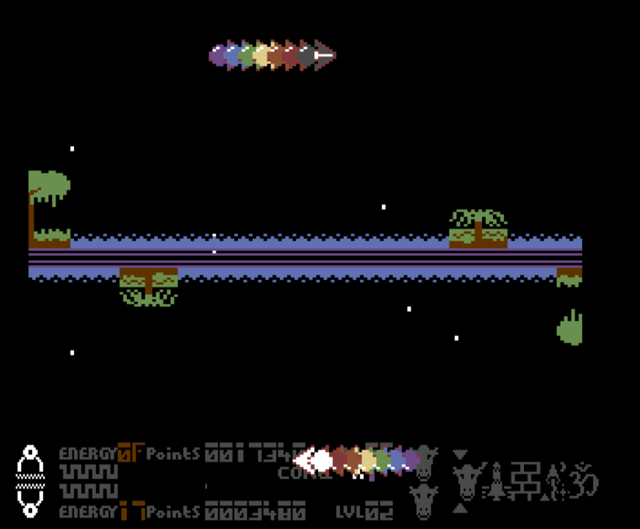 You play as Gilby, a human Android tasked with deactivating the Iridian home worlds' planetary defences, while the inhabitants themselves search the galaxy for a tasty soft drink (yes really!). Gameplay is fast and furious, and designed to be much more deep and cerebral than the average mindless shoot em up. The split screen gameplay, the smooth scrolling, the number of enemies and the satisfying velocity of your weaponry are nothing short of programmatic genius for an 8 bit machine. However the strobe effects, whilst impressive, when combined with the complicated routines of energy and entropy management, warping between levels landing on planets to offload energy and between the split screens to prevent your other self exploding. 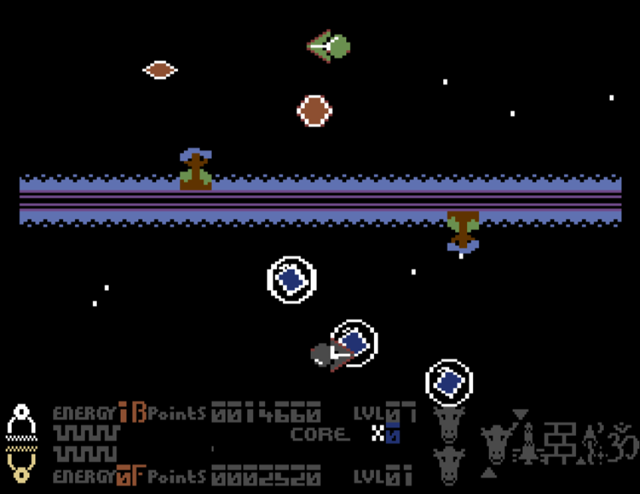 and the non-stop blur of enemy attack waves - this game can quickly become overwhelming. Regarded by many as Jeff Minter's Magnum Opus, this game will appeal to fans of the Twitch Shooter genre. It definitely takes a lot of practice, but with a high score saver, and some helpful training modes, this is the definitive version to get and test your skills to the limit. This game definitely needs a health warning, so be prepared!